Please read the following Terms and Conditions of Use carefully before continuing. By using this Web site, you signify your acceptance of the following Terms and Conditions of Use. Clark Brands, LLC. ("Clark") reserves the right, at our discretion, to change, modify, add, or remove portions of these terms at any time without prior notification. We suggest that you check these terms periodically for changes because they are binding on you. Clark may change the format and content of this web site at any time. Clark may suspend the operation of this web site for support or maintenance work, in order to update the content or for any other reason. Clark reserves the right to terminate access to this web site at any time and without notice. Clark has prepared this Web site solely for the purpose of providing information about Clark and its business. The content of the information may only be used as an informational resource for personal, non-commercial use. Any other use, including the framing, reproduction, modification, distribution, transmission, republication, or display of the content on this Web site is strictly prohibited. The Web site has been compiled in good faith by Clark. However, no representation is made as to the completeness or accuracy of the information it contains. In particular, you should be aware that this information, as well as all filed reports and news releases issued by Clark and listed on this Web site, may be incomplete, may contain errors or may have become out of date. Clark makes no commitment, and disclaims any duty, to update any of these reports and releases. Clark does not warrant the accuracy, completeness or non-infringing nature of the materials or the reliability of any advice, opinion, statement or other information displayed or distributed through the Web site. You acknowledge that any reliance on any such opinion, advice, statement, memorandum, report or information shall be at your sole risk. Clark disclaims any liability for any damages arising from use of the information appearing on the Web site. Clark reserves the right to add, modify, correct or delete any information from this Web site at any time without any notice. All information or advice provided as part of this web site is intended to be general in nature and you should not rely on it in connection with the making of any decision. Clark tries to ensure that all information provided as part of this web site is correct at the time of inclusion on the web site but does not guarantee the accuracy of such information. Clark is not liable for any action you may take as a result of relying on such information or advice or for any loss or damage suffered by you as a result of you taking this action. This web site may include links to external web sites. When you follow such links the external web site may appear as a full screen (in which case you will need to use the back button on your browser to return to this web site) or in some cases it may appear within the frame of this web site (in which case you will be able to return to this web site by using the navigation buttons within the frame). Where an external web site appears within the frame of this web site, this is purely for ease of navigation back to this web site and does not indicate any responsibility on our part for the external web site concerned, even if it is a web site owned and operated by Clark. These links are provided in order to help you find relevant web sites, services and/or products that may be of interest to you quickly and easily. It is your responsibility to decide whether any services and/or products available through any of these web sites are suitable for your purposes. Clark is not responsible for the owners or operators of these web sites or for any goods or services they supply or for the content of their web sites and does not give or enter into any conditions, warranties or other terms or representations in relation to any of these or accept any liability in relation to any of these (including any liability arising out of any claim that the content of any external web site to which this web site includes a link infringes the intellectual property rights of any third party). The marketing contents of Clark's Web site are for informational purposes only and do not constitute an offer. 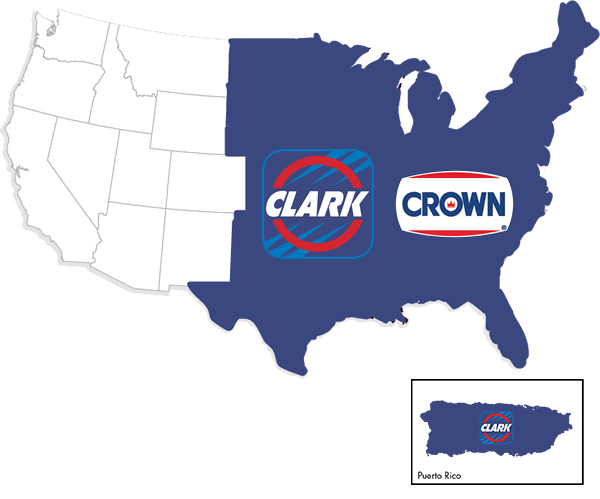 Not all Clark products or services described are available in all jurisdictions and nothing herein is intended as an offer or solicitation in any jurisdiction where such offer or sale is not available or where Clark is not qualified to do business or exempt from regulation. Any information you provide, transmit or post to Clark through or in connection with this Web site by electronic mail or other forms of input shall be provided by you on a non-confidential and non-proprietary basis and becomes the property of Clark or its affiliates to use as they see fit, without compensation. All content included on this Web site (including but not limited to text, graphics, logos, button icons and images) is the property of Clark or its content suppliers and protected by U.S. and international copyright laws. Additionally, all trademarks, service marks and trade names found in this Web site are proprietary to Clark, or their respective owners as indicated. The Clark Logo is the registered trademark of Clark. Unauthorized use of the trademarks of Clark is strictly prohibited. If you wish to provide a hypertext or other link to this web site, please contact the Clark internet site editor at legal@clarkbrands.com with details of (1) the URL(s) of the web page(s) from which you are proposing to link to this web site; and (2) the URL(s) of the web page(s) on this web site to which you are proposing to link and Clark will consider your request. It is solely Clark's decision as to whether Clark agrees to your request. If Clark does consent to such linking, Clark is in no way responsible for the content of any third party Web site linked to Clark's Web site via hyperlink, whether such hyperlink is provided by Clark or by a third party. 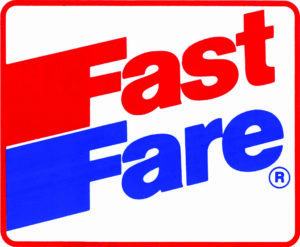 No judgment or warranty is made with respect to the accuracy, timeliness, or suitability of the content of any Web site to which this Web site may link, nor is Clark endorsing services provided by any third party Web site's sponsoring organization, and Clark takes no responsibility therefor. Under no circumstances will Clark be held liable for any computer viruses, system failure or malfunction which may occur during hyperlink to third party Web sites. If you want to link to this Web site and Clark so agrees, you agree to comply with Clark's restriction regarding a site that links to the Clark Web site. Such restrictions are available upon request. Please contact the Manager of Clark Advertising and Corporate Communications for a complete list of such restrictions. In no event should a site that links to the Clark Web site replicate Clark content, imply that Clark is endorsing it or its services or products, misrepresent its relationship with Clark, present false information about Clark or its business or contain content which in Clark's opinion is inappropriate. THE INFORMATION AND ANY SERVICES, PRODUCTS, AND MATERIALS CONTAINED IN THIS WEB SITE, INCLUDING, WITHOUT LIMITATION, TEXT, GRAPHICS, VIDEO, AUDIO, AND HYPERLINKS, ARE PROVIDED ON AN "AS IS" BASIS WITH NO WARRANTY. TO THE MAXIMUM EXTENT PERMITTED BY LAW, CLARK DISCLAIMS ALL REPRESENTATIONS AND WARRANTIES, EXPRESS OR IMPLIED, WITH RESPECT TO SUCH INFORMATION, SERVICES, PRODUCTS, AND MATERIALS, INCLUDING BUT NOT LIMITED TO WARRANTIES OF MERCHANTABILITY, FITNESS FOR A PARTICULAR PURPOSE, TITLE, NONINFRINGEMENT, FREEDOM FROM COMPUTER VIRUS, AND IMPLIED WARRANTIES ARISING FROM COURSE OF DEALING OR COURSE OF PERFORMANCE. IN ADDITION, CLARK DOES NOT REPRESENT OR WARRANT THAT THE INFORMATION ACCESSIBLE VIA THIS WEB SITE IS ACCURATE, COMPLETE OR CURRENT. IN NO EVENT SHALL CLARK BE LIABLE FOR ANY DIRECT, INDIRECT, SPECIAL, PUNITIVE, INCIDENTAL, EXEMPLARY OR CONSEQUENTIAL DAMAGES, OR ANY DAMAGES WHATSOEVER, EVEN IF CLARK HAS BEEN PREVIOUSLY ADVISED OF THE POSSIBILITY OF SUCH DAMAGES, WHETHER IN AN ACTION UNDER CONTRACT, NEGLIGENCE, OR ANY OTHER THEORY, ARISING OUT OF OR IN CONNECTION WITH THE USE, INABILITY TO USE, OR PERFORMANCE OF THE INFORMATION, SERVICES, PRODUCTS, AND MATERIALS AVAILABLE FROM THIS WEB SITE. THESE LIMITATIONS SHALL APPLY NOTWITHSTANDING ANY FAILURE OF ESSENTIAL PURPOSE OF ANY LIMITED REMEDY. BECAUSE SOME JURISDICTIONS DO NOT ALLOW LIMITATIONS ON HOW LONG AN IMPLIED WARRANTY LASTS, OR THE EXCLUSION OR LIMITATION OF LIABILITY FOR CONSEQUENTIAL OR INCIDENTAL DAMAGES, THE ABOVE LIMITATIONS MAY NOT APPLY TO YOU. These terms are governed by and construed in accordance with the laws of the State of Illinois, without giving effect to any principles or conflicts of law. You agree that any action in law or equity arising out of or relating to these terms or the use of this Web site shall be filed only in the state or federal courts located in Chicago, Illinois, U.S.A., and you consent and submit to the personal jurisdiction of such courts for the purposes of litigating such action. If you have a question or complaint about this web site, please contact the Clark internet site editor at legal@clarkbrands.com.